So, you’ve got some spare cash and you want to invest it for the long-term. Financial markets, and mostly the stock market, are the first place you look, right? With its booms and busts you can make money, but you can lose money. For some, it’s so daunting that they don’t bother, leaving the money under the mattress/in savings account. That might be the right answer if you’re not comfortable taking risks. But another reason for not investing is the amount of effort involved. If you want to buy an individual share – i.e. buy a tiny chunk of Apple or BP – you should really do lots of research first, examining its prospects but also whether the valuation, the price, is at a reasonable level. It raises two questions: do you have the time (and inclination) and do you have the right knowledge? If no, there could be another way … funds. Now apparently this is a term that some people struggle with. Don’t take my word for it. Alex Jones, head of market research at Boring Money, talks to lots of people about how they view the world of finance. He said: “Time and again we come across people in our research groups who say they struggle to understand terms that the finance industry seems to think everyone understands. So what is a fund? A fund is an investment that allows a large number of people to pool their money. A fund manager (the investment specialist) uses the money to buy a wide range of investments. This could be just shares. Or it could other types of asset, such as bonds or property. 2. It can be less risky than investing in a single stocks and shares. Basically, you’re not putting all your eggs in one basket. All you have to do is decide which type of fund you want to invest in based on your goals, the amount of risk you’re willing to take, the fees you’re willing to pay - then let the pros do the rest. If in you’re any doubt, it’s always good to seek advice from a financial adviser. The key downside is the additional cost compared with doing it yourself. Charges for a fund that actively picks shares tend to be around 0.75% a year - or £7.50 on a £1,000 investment. And of course don’t forget that your money is at risk, as it is with any type of investment. Firstly, it works slightly differently depending on the country. In the UK, unit trusts are the most widely held fund type. Each investor is issued units, which represent a portion of the holdings of the fund, a bit like a share in a company. There’s another type, called “open-ended investment companies” or Oeics that work very similarly to unit trusts. Then there are investment trusts. These are closed-ended funds (sorry, more nasty jargon). What we mean is that unlike with the open-ended unit trusts and Oeics, there is a limited number of shares, hence closed-ended. The reality is that investment trusts really are companies. They are listed on the London Stock Exchange and you buy and sell shares in the company/trust. This creates added aspects to think about. Because the number of shares is limited, their value can rise above the real value of the real investments they’ve backed. When this happens the trust trades at a “premium”. When demand is low, they trade at a “discount”. It means the ups and downs are a little more exaggerated than you might get with a unit trust/Oeic. Whatever the type, many of these funds are actively managed which means the fund managers aim to beat the performance of a benchmark index, rather than track it, by picking assets they expect to outperform. In the other corner, you get is passive or tracker funds. 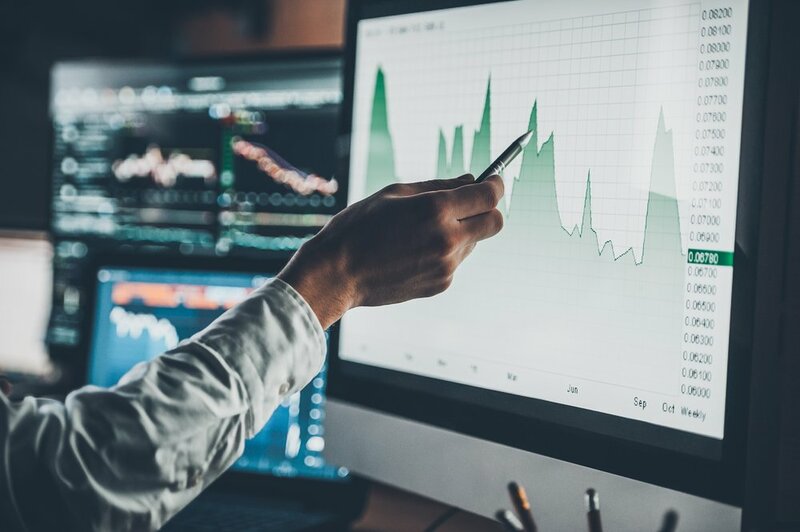 These do aim to follow the performance of an investment index, such as the FTSE All-Share (the UK stock market index) and tend to have lower charges than actively-managed funds. What do funds invest in? Some investors feel more comfortable investing in countries they know more about. For instance, if you are from the UK you might only want to invest in stocks listed on the UK stock market. It’s why UK-focused funds tend to be popular with British investors. These funds tend to spread your money around, often in line with the size of the world’s largest stock markets. So they might invest 45% of your money in the US, 10% in Japan, 6% in the UK, and so on. One advantage might be that you’re not reliant on the fortunes of one country (eggs and baskets again). It’s an awful industry name, but if you can get over that, these funds can be worth knowing about. They are normally a mix of shares and bonds (in a nutshell, a bond is a loan from an investor to a company or government bond. The idea being the bond makes regular payments to the investor and hands back their money after a fixed period). The theory is that bonds and shares often move in different directions (although this is not always true) so holding them together makes for a nice, er, balance. Some investors believe it’s better to hold a wide mix of assets, relying on a professional investor to decide when to move in and out of each asset type. These assets could includes shares, corporate bonds, government bonds, property and even commodities, such as gold. This is not the way most of us think of property investment. It’s about investing in commercial property – shops, offices, factories, warehouses, etc. Some funds own the properties outright, others invest in companies that invest in property. That’s it! Or at least that’s the basics. Now you're on the road to expanding your investment nous, there’ll lots more to share. Why not start here: Six steps to start off investing.